Unsure of where to start? 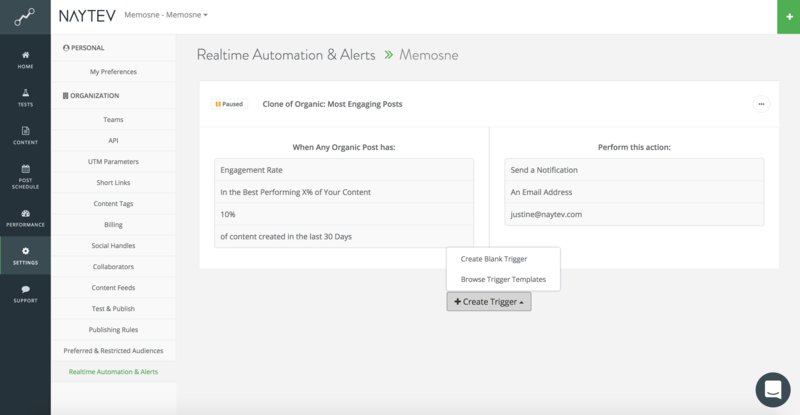 Use our templated performance triggers to get you on the right track. 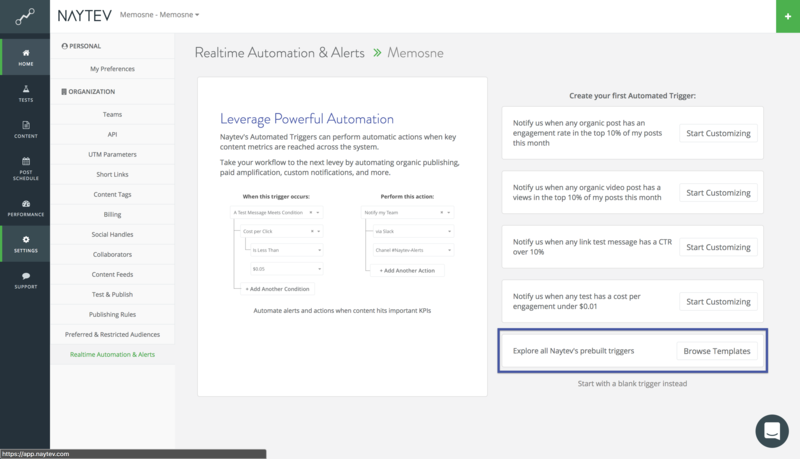 You can always create your performance triggers from scratch, but we've also created easy trigger templates for you to hit the ground running. Set up templated notifications by clicking on the lightning bolt symbol on the main navigation sidebar. 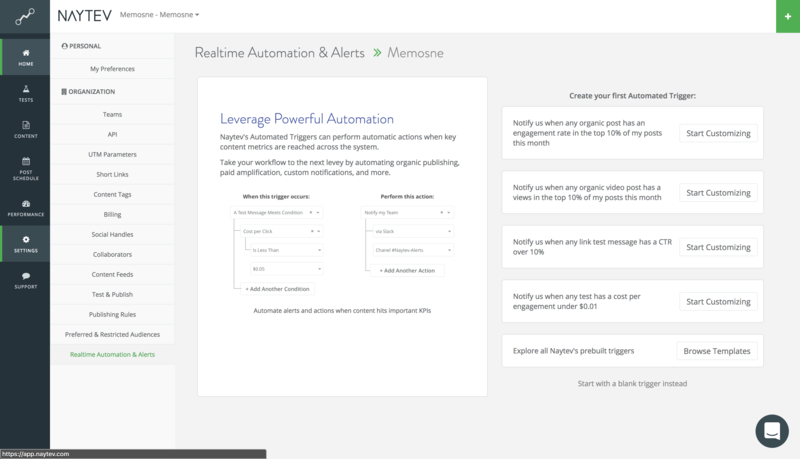 If you haven't created any performance triggers yet, your Real Time Automation & Alerts screen will look like this. You can use our most popular trigger templates by clicking the "Start Customizing" button next to each Notification Profile. Read the descriptions to see if they make sense for you or your teams. If your team has already created custom performance triggers, you can always access the Template Library by clicking on the ""+Create Trigger" button and then selecting the "Browse Trigger Templates" option. When you select a template, the trigger conditions will be pre-set for you, but you must define a trigger action in order for your performance trigger to be saved. When you're done customizing the template, make sure to click the green checkmark in the upper right hand corner to save your changes.